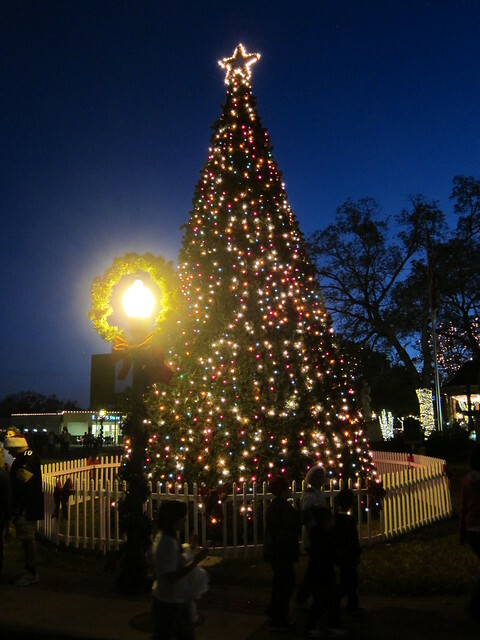 Last week John and I went to our first Wassailfest in New Braunfels. What’s Wassailfest? 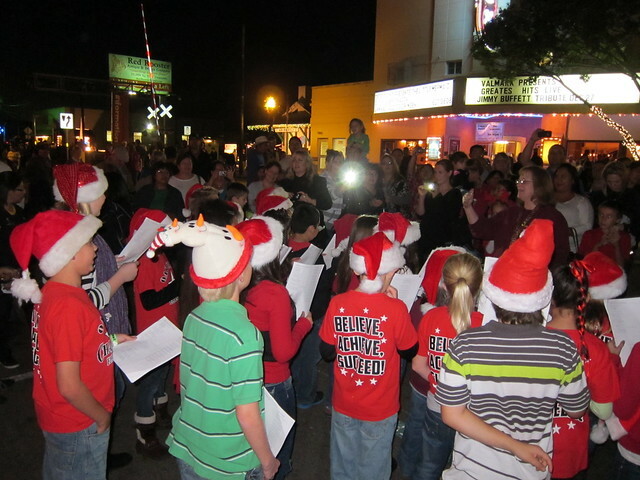 Basically they shut down downtown New Braunfels and you walk around sampling different types of wassail. Wassail is mulled cider and vendors offer “leaded” and “unleaded” versions. 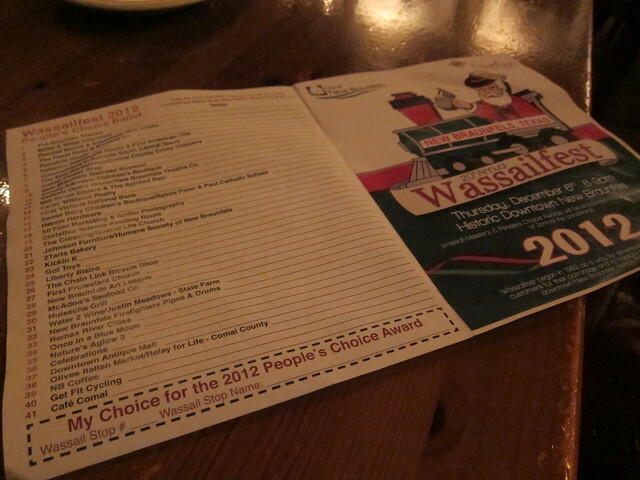 At the end of the night you can vote for your favorite wassail. 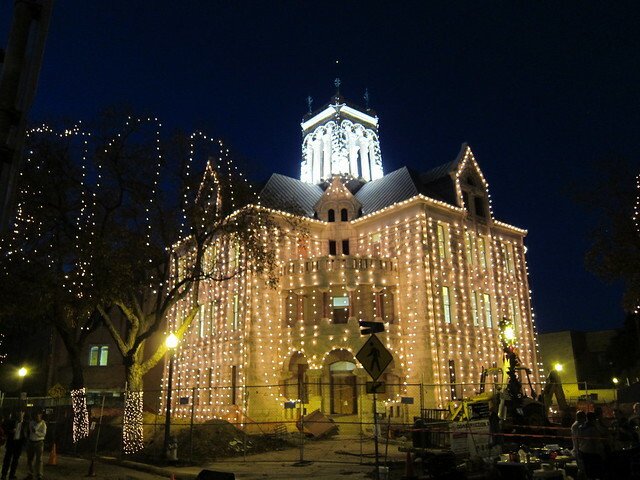 Downtown New Braunfels is beautifully decorated this time of year. There are also plenty of food vendors and lots of music. John and I did enjoy a pork chop on a stick, but then headed to the Husiache for dinner where we met a friendly llama named Tahoe. We sampled around 10-15 types of wassail, but there were over 40 different vendors to try. It was a fun and mostly free evening. I recommend going early because the streets were packed once we finished dinner, and the lines for wassail had gotten really long. I had wanted to go for a long time, but always forgot about it until after the event had happened. Be sure to check it out next December! You know, I don't know if I ever knew what wassail was, previously - so thanks for that. A friendly llama? For reals? 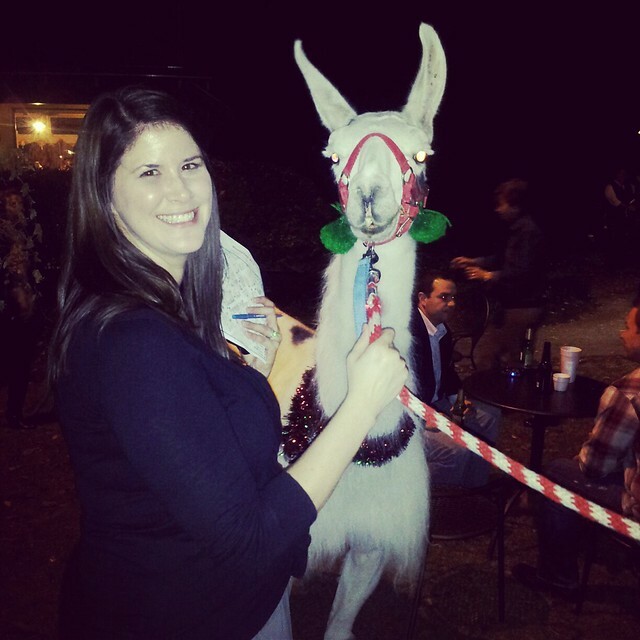 The only llama I've ever "met," spit on me. It was very fun for those who were not me. 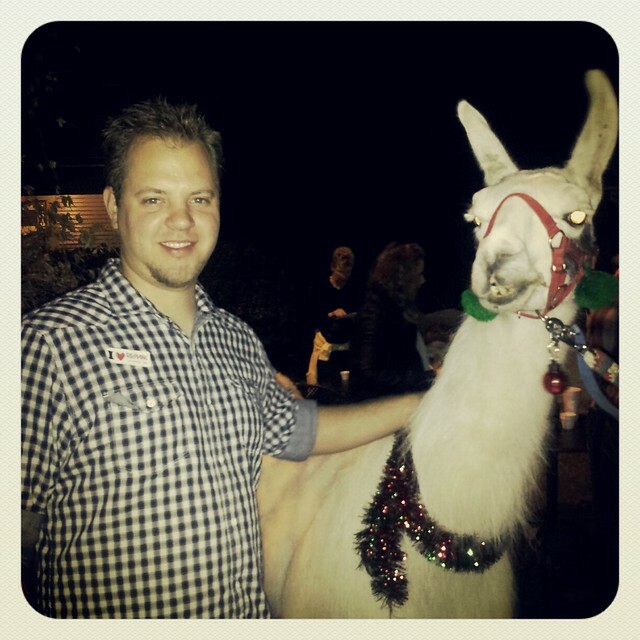 He was a lovely llama! He even wanted to follow us into dinner. Maybe we were just being used? Love all things mulled this time of year. I haven't tried making my own wassail, but I bet it'd be delicious!